Thank you for your further e-mail. I am sorry to see that my response did not allay your concerns. Firstly let me express how sorry I am to hear of the difficulties that Filipino nurses you know have suffered as a result of Victorino Chua’s crimes. Of course we have great respect for the many hard-working nurses of the NHS, of all nationalities. This, however, does not detract from the importance of reporting on the systemic failures in the recruitment of nurses from the Philippines or any other place the NHS recruits. Likewise I am glad to hear you received such high quality care in the Philippines but this does not negate the fact that patients at Stepping Hill died. In fact they were poisoned by a man completely unfit to work in the medical profession no matter what his nationality. You assert that it is not easy to become a qualified nurse in the Philippines, however our reporter Stephen Wright found the exact opposite to be true. For just £43 he was able to obtain the relevant false documents to apply to work for the NHS. 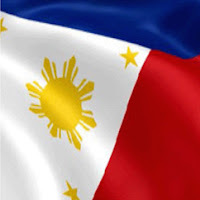 Of course it is possible to obtain fake degrees in many countries but the fact remains that Mr Chua obtained faked papers from the Philippines and therefore scrutiny is currently focussed on applications from nurses from the Philippines. In the wake of this case we understand that the NHS will be examining applications from people from all other countries with similar care to ensure that it properly protects its patients. It was never our aim, as you say, to make the lives of Filipino nurses difficult or expose them to racism. What is our aim is to expose wrongdoing and help in ensuring that someone like Mr Chua is never again allowed to care for sick and vulnerable people. I am sure you would agree that this is a cause worth pursuing. As you may know, the Mail played a key role in bringing Mr Chua to justice. Detective Superintendent Simon Barraclough, who led the inquiry, praised the Daily Mail for alerting the Police to Mr Chua’s fabricated qualifications and the trade that had been revealed to exist in faked academic records in the Philippines. DSI Barraclough said: ‘I would like to thank the Daily Mail for providing Greater Manchester Police with vital background information about Chua at a very early stage of our inquiry into him. 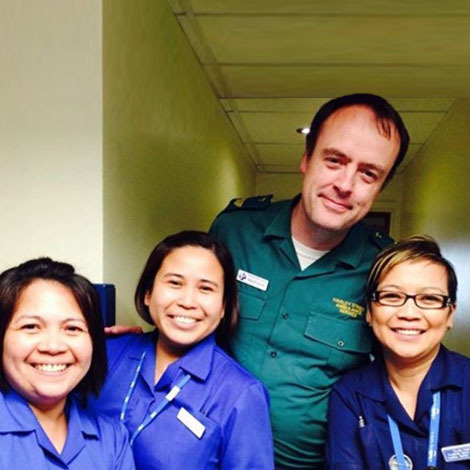 ‘Recognising the importance of the case, and the wider issues of patient safety, Mail journalist Stephen Wright passed on concerns about Chua’s bona fides and the trade in nursing qualifications in the Philippines. I would also point out that, after taking part in the protest held on Saturday, Michael Duque, President of the Philippine Nurses Association of the UK, thanked the Mail for its efforts in exposing irregularities in the recruitment system which he says his organisation is now in the process of reviewing and strengthening. We are also aware that a Filipino recruitment firm is facing the loss of its contract with a top London hospital as a result of our investigation and one of its senior officials, who helped candidates for NHS jobs cheat in their exams, has left the firm. For these reasons I cannot see that this article is in any way racist nor that the Daily Mail has failed in maintaining good journalistic standards. We therefore believe an apology for our coverage is not appropriate. As you are aware we have also carried a letter from you and other readers on this subject. Again I would like to thank you for sending us your comments. Feedback from readers always helps to inform our journalists and the editorial decisions we take on a daily basis. Happy Independence Day from Malcolm Conlan!